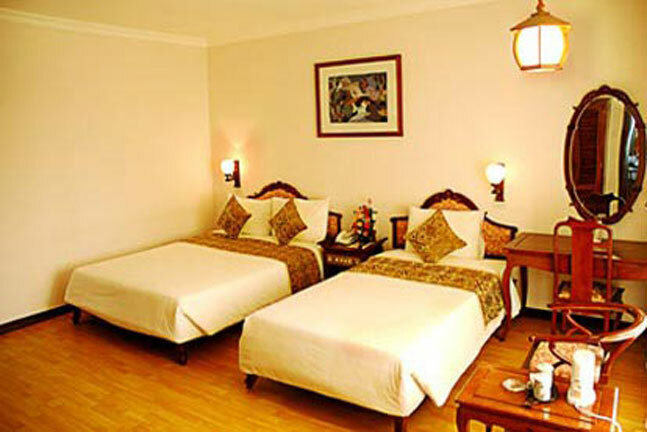 City-centered on the South Bank of Huong (Perfume) River, the Three-Star Hue Heritage Hotel is a very convenient staying place for visitors to other historical relics. From the hotel, visitors to the City can romantically walk along old streets doomed with green trees and later shop in a series of kiosks in nearby Hue downtown. The Hotel with its affiliate tourist villas by their own architectural envirements is also suitable for both relax and office-use purposes. With the built-in modern accommodations, the Hotel complex as a whole is an ideal stop for visitors during their vacations or business trips. 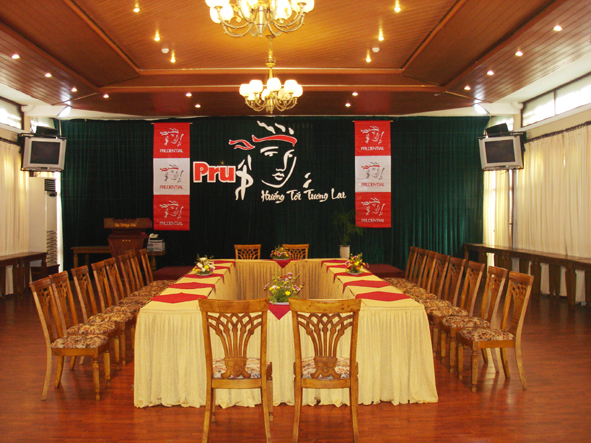 A 200-seat Conference Hall with suitable audio and video equipments is available for a conference, exchange of view or anegotiation..